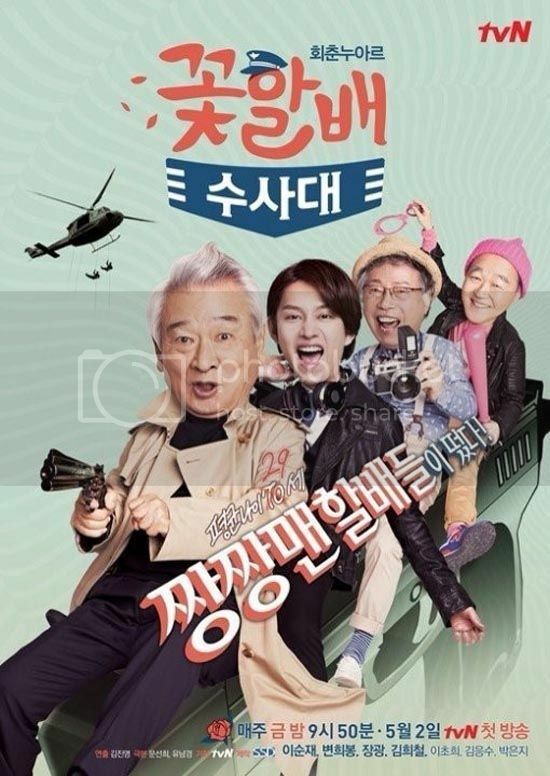 KBS has announced the drama to follow I Remember You, which in the span of several hours went from the provocatively titled Killing Mother-in-Law to the more toned-down Taming Mother-in-Law. Given that it’s not actually about any killing, that’s probably a good thing. The news announcements on this drama have already hit their first bumps, starting with the title; Killing Mother-in-Law made the drama sound exceedingly sensational, perhaps darkly funny or just plain dark. It described a story that’s all about a daughter-in-law who “feeds her hateful mother rice cakes for a hundred days in order to kill her,” and then “her mother-in-law eats the rice cakes for a hundred days, dies, and is reborn as her mother.” Okay, that’s weird, but also it sounds pretty straightforward. I’m pretty sure there was no other way to interpret that than the literal way. But perhaps the production read the wave of confused netizen reactions and their grumblings of makjang plots, because a second wave of news was released to clarify that it’s not a melodramatic tale of murder but in fact a show exploring the true meaning of family in a society full of single-person households and broken families: “Killing a mother-in-law means getting rid of the wall that represents the mother-in-law, and being reborn as a genuine family.” So just a really confusing metaphor then? Now using the title Taming Mother-in-Law, the show is described as a bright, comical drama taking a “new format” as a 12-episode miniseries. The plot features a former idol who dreams of a comeback who goes on a “daughter-in-law experiment” program where she’s pitted against a fake mother-in-law from one of those long-standing traditional family clans. As they clash, fight, and reconcile, they’ll realize the true meaning of family. Anyone else confused about all the strange, conflicting descriptions? 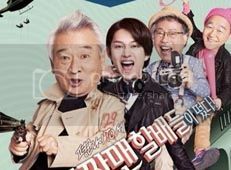 Directing the series is Lee Deok-gun of the very popular daily drama Melody of Love and writing is Moon Sun-hee of the goofy comedy Flower Grandpa Investigation Unit. The drama will premiere on August 17 on KBS. Flower Grandpa remains to be in the quirky creatives for me. Not only that, but the casting is right on too. Writer seems to do real good in comedy. "Now using the title Taming Mother-in-Law, the show is described as a bright, comical drama taking a “new format” as a 12-episode miniseries." I think it would be better if more dramas were trimmed down to 12 episode. With the live shooting system, I often notice that problems in the story start becoming readily apparent around episode 6-8, so having less episodes to meander at the end will do wonders for K-dramas. Many miniseries dramas have rather limited stories to tell in the first place, even before the live shoot/writing system comes into play. Take "Punch", for example. The overall story line had enough meat for maybe 12 one-hour-episodes. The writing really suffered from the attempt to stretch the whole story to "full" length (19 episodes in this case), with all the repetitive plot points that undermined many of the main character's arcs. I want more dramas shortened as well. And I like the sound of the second plot better: it could be done in a mockumentary way which would be funny. I'm so excited for this. Getting bored with romcom and makjang. Needs something fun to watch soon. How can anyone be reborn as your Mother, given that she has already been born, n many decades ago at that? She is a sentient being w her soul intact. I can understand a spirit possessing the body of your mother, a la Virgin Ghostess, but reborn? Nah. I read it as, the mother-in-law becomes a true maternal figure ("Mother") instead of the scornful-antagonist-shrew that mother-in-laws are stereotyped as. So the same woman goes from being 'mother-in-law' type to 'mom-type'. I hope is the second plot, because the first one is beyond weird. Hmm, OK, I guess this will make more sense once casting and teasers happen, but right now I'm confused. @Mary, Those were the first two to pop into mind as well. They were perfect in-laws in Unexpected You. Han Groo and Kim Hae Sook would be nice too. Idiom for 'kill them with kindness'? There's a sort of saying, "give another rice cake to the one you don't like." and the follow up with it is "give another beating to the child you do love." So I always understood it as : you don't care about child A - let him have cake or food or whatever. you care about child B, beat the wrong-ness out of them. Show #2 sounds more interesting so i hope they go with that one. This title change reminds me of the Helen Mirren movie Teaching Mrs. Tingle, which was originally titled Killing Mrs. Tingle. Sounds interesting enough. Breaking the MIL stereotype? I'm in.